For quick integration, we recommend you to use this version. The html code is applicable for all web platforms, its more of a client side version. Please follow the below steps from 1 to 4 for easy integration. Please contact support if you have hard time with the integration, we can integrate it for you. In order to try our product you need a license key, for testing purpose we are going to use the trial license key. Now, Go to the Trial page and generate a trial license. 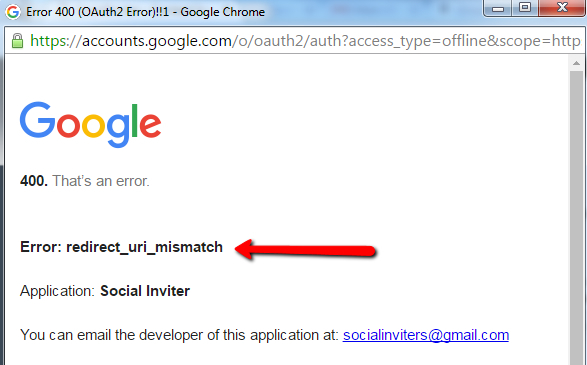 Inorder your code to import contacts or friends or profile you need the below authentication file(oauth.html) on your project. This html file is necessary to authenticate the user on your website, please download and add it to your project. The next step is to create APP on Gmail, Yahoo etc and providing permissions. 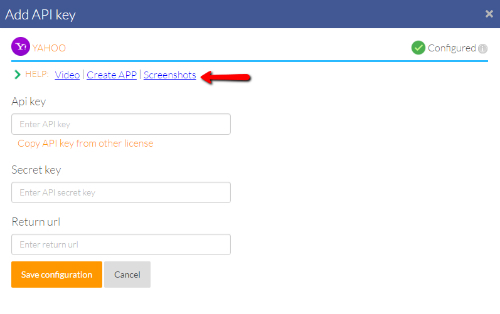 To create an app please login to your account, click licenses tab, click manage api keys, click on the Gmail, Yahoo etc icon and click screenshot link which will open a pdf containing step by step to create APP on mail servers through screenshots. 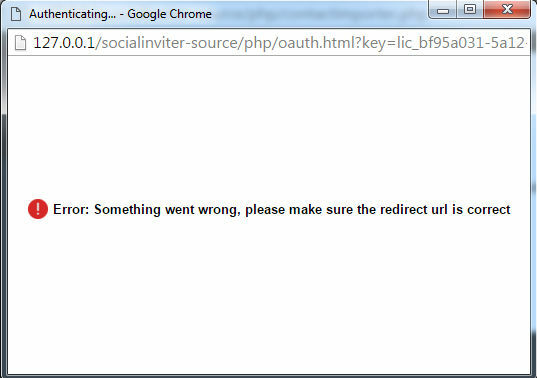 Note: When creating the app, please provide the redirect url or callback url as the url of oauth.html file. 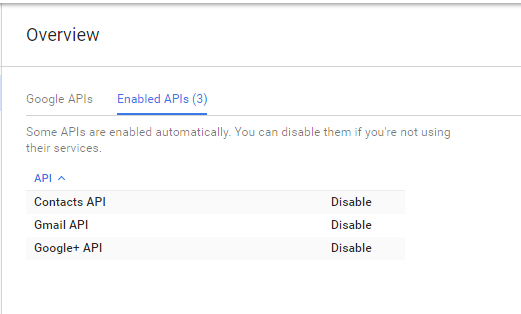 After you create the APP on Gmail, Yahoo etc, copy the api keys and secret keys and add it to your account click licenses tab, click manage api keys, click on the Gmail, Yahoo etc icon and add the api keys. 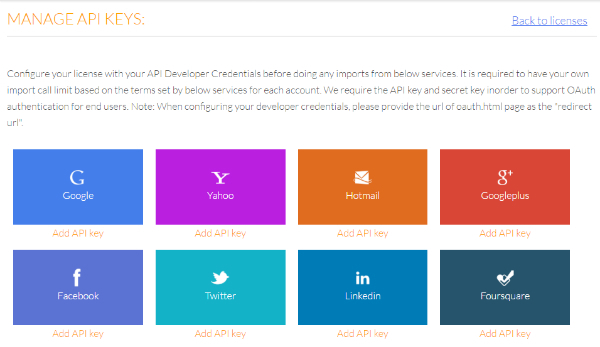 Now that you have linked your account with API keys, the next step is to setup the plugin. Use the below html to make the icons appear on a particular area of the page. For more customization on icon appearance and layout, please refer the plugin documentation here contact importer doc, friends inviter doc, social connect doc, social post doc. 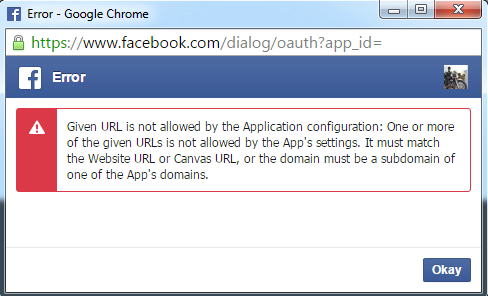 Step 3 has two important steps; First, replace your license key at line 2 and second, replace the auth page url on line 5 with the url of the oauth.html on your server. For more customization on plugin settings, callbacks, methods and events, please refer the plugin documentation here contact importer doc, friends inviter doc, social connect doc, social post doc. Please add the below code above the </BODY> tag which is responsible for initializing the plugin.